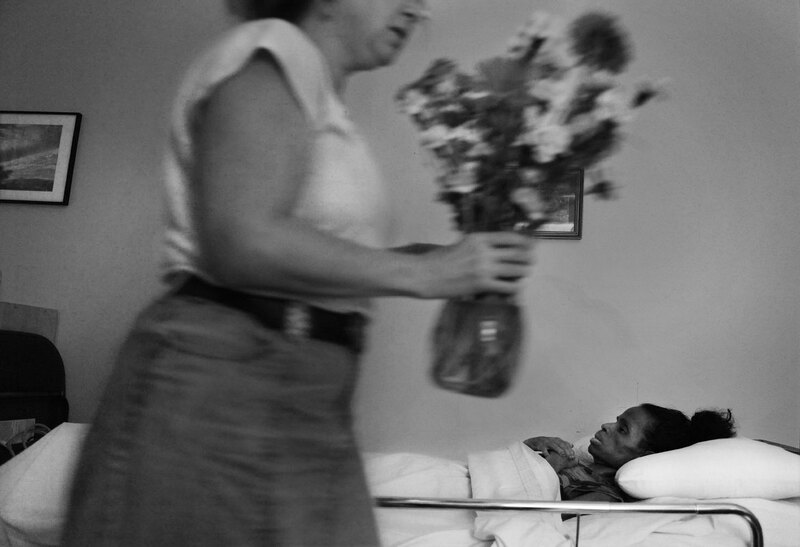 Patty Wudel, executive director, places flowers in the room of the body of Eunice Minor, who suffered from AIDS, at Joseph's House, an AIDS/cancer hospice in Washington, DC. Wudel used some of the only clothes they had to dress Minor, who came to the house with little to nothing. "Often, the people who come here have been so sick for so long that by the time they get here, with all of that support, it's kind of an unconditional support of just love and just sticking by somebody who doesn't want to die and who does die," said Wudel. "And so we stick by that person, not only with good end of life care and hospice care, just with gentle friendship and sometimes courage and sometimes just so much sadness. And our way is just to do that quietly, human being to human being within a caring community."